Since 1998, AABSyS IT Private Limited, a leading GIS, CAD and software development company operates from its own state-of-the-art development centre in Bhubaneswar. The company has recently expanded and celebrates the inauguration of its new global sales office at Noida, Delhi NCR. 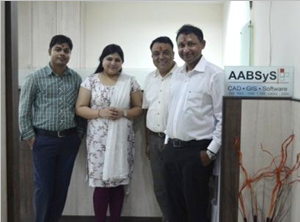 AABSyS, one of India’s leading GIS and CAD Company, took a significant step towards the company’s long term vision for growth by opening its sales office in Noida, a major hub of industry and special economic zone. The new office is located in the suburban area of Delhi, popularly known as the National Capital Region (NCR). A quiet and devout inauguration ceremony took place on 29th August 2013, in presence of Mr. Arun Patnaik, CEO & Director – AABSyS, Mr. Rajen Tanwar, Executive Director, AABSyS and the employees of sales office. 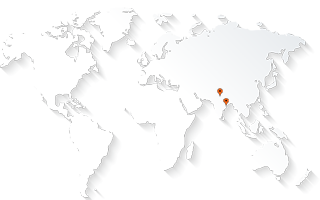 AABSyS IT started its operation in 1998 and in the past 15 years the company has established itself as a highly credential GIS and IT outsourcing organisation serving more than 75 global customers. The state-of-the-art infrastructure at Bhubaneswar, Odisha is located at one of India’s prime information technology centre and offers a professional working environment. Furthermore, the strategic location of AABSyS’s global sales office at Noida shall act as an opportunity for potential business growth. Mr. Arun Patnaik says, “The inauguration of our new sales office is a proud moment for us as we are now present in the hub of IT in NCR. Under the capable leadership of our Executive director Mr. Rajen Tanwar, and with our motivation of expanding the business globally, AABSyS is all set to go a long way in global GIS and CAD market.” Armed with a highly qualified and experienced team of professionals, the neoteric office will function with the priority of propelling the sales business for the company and serve its esteemed clients all over the world. AABSyS is a leading outsourcing company that provides GIS/ CAD services, software development services and data entry services to customers worldwide. The company brings together optimized resources, talented personnel, and the years of experience to meet a variety of customer needs. The company is based in Bhubaneswar in Orissa, India.